Au 4 février 2013 , les compagnies aériennes suivantes disposent au moins d'un appareil de type ATR 72 : Aer Arann, Aer Lingus Regional, Aero Caribbean , Air Algérie, Air Austral, Air Bagan , Air Botswana, Air Caledonie, Air Caraïbes, Air Contractors, Air Corsica, Air Dolomiti, Air Kanbawza, Air Madagascar, Air Mandalay , Air Mauritius, Air New Zealand, Air Nostrum, Air Saint-Pierre, Air Serbia, Air Tahiti , Air Vanuatu, HOP ! 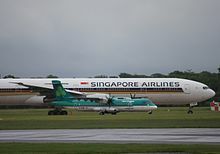 (Airlinair),Air France,AnadoluJet, Antrak Air , Arkia, Asian Wings Airways , Aurigny Air Services, Avanti Air , Azerbaijan Airlines, AZUL - Linhas Aereas Brasileiras, Bangkok Airways, Belle Air, Berjaya Air , B&H Airlines, Binter Canarias, Blue1, BoraJet , BQB Lineas Aereas , Buddha Air, Calm Air International, Cambodia Angkor Air, Caribbean Airlines, Carpatair, Cebu Pacific Air, CEIBA Intercontinental, Cimber A/S , Conviasa, Czech Airlines, Danish Air Transport, Danube Wings, Deccan 360 , Empire Airlines , Etihad Regional, EuroLOT, Ewa Air, Executive Airlines, Farnair Switzerland, FedEx, Firefly, First Air, Fly540, Flybe Nordic, Golden Air, Helitt Líneas Aéreas , Imetame, InterSky, Iran Air, Iran Aseman Airlines, Island Air, Israir Airlines, Jet Airways, JetKonnect, Lao Airlines, MASwings, Morningstar Air Express , Myanmar Airways, Nok Air, Overland Airways , Passaredo Transportes Aereos , Precision Air, Royal Air Maroc Express, SAS, SATENA , Sénégal Airlines, SkyWest Airlines, Solenta Aviation , Swiftair, Syrian Arab Airlines, TACV Cabo Verde Airlines, Tarom, Transasia Airways, Trigana Air Service, Trip Linhas Aéreas, Tunisair Express, UNI Airways, United Airways , UTair, Vietnam Airlines, West Air Europe, West Air Sweden , Wings Air et Yangon Airways . Auteurs : Criric, Vatekor, L'amateur d'aéroplanes, Séb, Zetud, Romanc19s, Gzen92, TCY, Flo inc, Pautard, Pantoine, Esprit Fugace, Acer11, Jarfe, Axou, Duch, PierreSelim, Humboldt, Nono64, Sebleouf, CommonsDelinker, Speculos, Zorrobot, SébastienMunch, Ptbotgourou, Durifon, JRagusa, Vlaam, Hercule, Ertezoute, Ggal, Guillaume70, Zeugma fr, Ladonne, GrouchoBot, Dr Brains, DSisyphBot, Fmjwiki, Gutenberg1, Vincent.vaquin, Lomita, RedBot, Tigre-Bleu, Beaugency, LecomteB, Nupar, Esnico30, Angelwhite, ZéroBot, 25th--november, Gyrostat, Bertol, OrlodrimBot, Orikrin1998, HenriDavel, Lalmimaj, Florianbardy, Franckenstein fr, Arnaud Lambert, Lo biarnes, Addbot, Uli Elch, Mgiovannan, Claritudo, Burkindbila, BerAnth, Warren DR, Olidellev, Ugo58956, Macadam1, Lequent82, NeitSaB, Caealn, Ismail Stylo, Leodu74380, Chameau volant, Bishopinpaignton, KolbertBot.